10 WAYS TO PIMP PROOF YOUR LIFE*Pimped (slang): To be persuaded, smooth talked or tricked by another person into doing something for their benefit. Apparently I'm an extremely slow learner because it's taken me twenty years to just begin to find modest success as a writer. In my defense, writing is one of the most difficult professions in the world. In the last twenty years I've learned some hard won lessons by being pimped (i.e., taken advantage of, swindled, led on a professional equivalent of a snipe hunt) in almost every imaginable way. 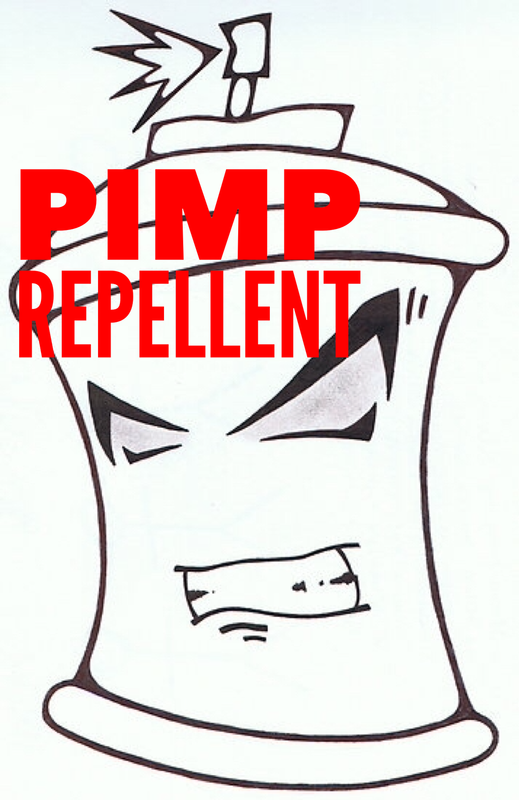 Below are some of the most effective ways I’ve learned to shield myself from the pimps of the world: 1. Realize your true worth and never tie that self worth to anything outside of yourself. Your self worth should never be measured by anything external like money, possessions, looks, or anything other than the treasures you hold within yourself. Never seek acceptance or validation from others. This alone takes away most of the pimp's power of persuasion. If you are walking around with a general feeling that you don’t measure up this is a good indicator that you have work to do on yourself, spiritual work. I realized this in my early twenties. I began a self improvement regime that prompted me to move eight hundred miles away from home and to master meditation. I became a new person because of it. 2. Get to know your true self. This isn’t as easy as it seems. Have the courage to learn who you really are beneath the mask that you’ve become accustomed to wearing so you will be accepted and liked by others. This takes courage and honesty, this takes deep reflection, this involves assessing your strengths and weaknesses. Pimps seek out victims who don't know who they are, the confused, and the indecisive. We spend too much of our time and energy trying to figure out other people and events in our lives but not nearly enough attention on introspection and contemplation of ourselves. Once we know ourselves we can learn to love ourselves. If we don’t like what we see, we can also identify what we need to work on.